This eBook shares the characteristics that organizations need to consider developing as a way to create a roadmap for greater trust. It also offers a practical outline of actions that you can take to move forward in designing opportunities for positive change related to trust. The organizations and leaders who are considered more trustworthy share a set of traits that others can replicate to improve trust in their own organizations. The insights in this eBook are based on our research and consulting experience with leaders whose focus on trust has helped them win both internally and externally. 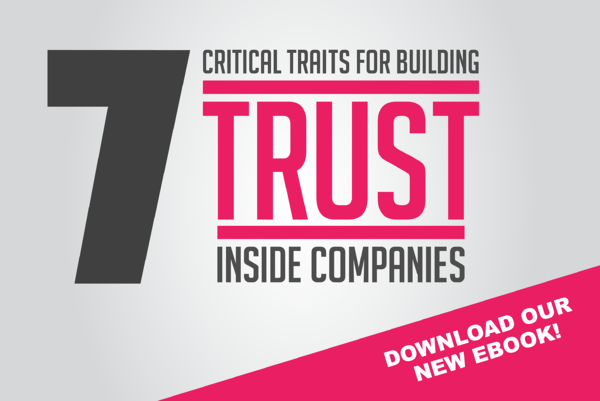 Download—7 Critical Traits for Building Trust Inside Companies—today by filling out the form to the right, and see how building more trust in your organization will lead to better business outcomes.